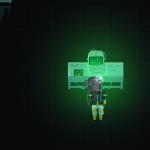 In development by a single dev, 2d ARPG Senescent Link brings a pixel art feel to a cryogenic awakening, dropping gamers into a labyrinth-of-secrets scenario in which players sneak, hack, and fight their way out of an abandoned facility. 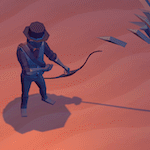 With a Kickstarter campaign and a demo still to come, I chatted with Brave Ghost on the thought process behind the project. 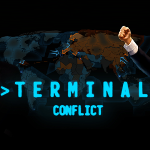 A game of Cold War strategy, Terminal Conflict puts players in a digital chair guiding global high-stakes power struggles. 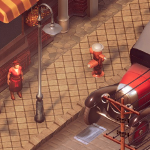 A blend of history and tactical management, the game’s console aesthetic evokes retro charm, and I chatted with Gellert Keresztes, Lead Game Designer at Strategy Mill; note the early access status on Steam or join them on Discord. Disjunction presents a near-future plagued with economic, environmental, and societal instability, a world in which scarcity and climate change have pushed millions of Americans into massive, festering metropolitan areas riddled with crime. 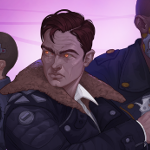 As a cyberpunk stealth-action RPG, the game drops players into the interconnected roles of three characters braving the dystopia headlong, and I chatted with Ape Tribe Games dev Erwan LeCun on the strategies and nuances driving his work.